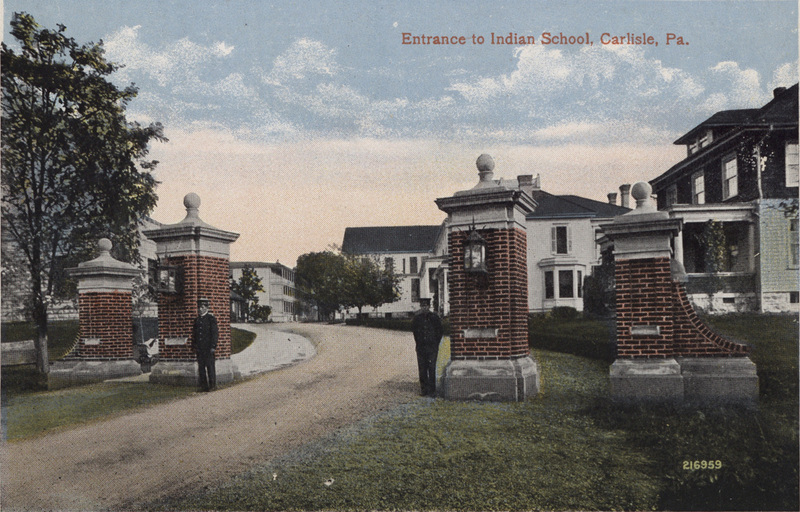 The former grounds of the Carlisle Indian School are located on what is now the United States Army War College. While the landscape has changed over the years, a number of school spaces, including the gymnasium, the band stand, the superintendent’s house, and the cemetery, still exist. Visitors may access the Army War College through its Visitor’s Center. Tours of the grounds are self-guided. Walking tour maps are available for purchase at the Cumberland County Historical Society’s shop, History on High. Before making a visit to Carlisle, it is important to review the information below. Visitors may access the former Indian School grounds at the Army War College, also known as the Carlisle Barracks or The Post, through its Visitor’s Center. For security purposes, guests will need to submit a clearance background check form and show identification compliant with the Real ID Act of 2005 to obtain a visitor’s pass, unless they already hold one of several approved forms of identification. Instructions and clearance applications are available through the Visitor’s Center of the Army War College at https://www.armywarcollege.edu/visitorcenter/. Clearance forms may be submitted up to 30 days in advance or on-site at the time of the visit. Please allow time for this process when planning a visit.